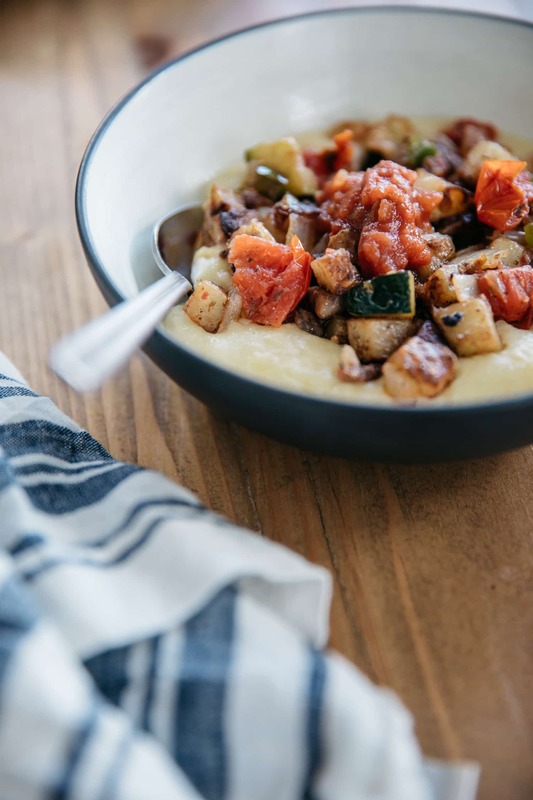 Today we've got a delicious vegetable hash served with polenta and salsa. Vegetables like potatoes and mushrooms are high in protein and nutritious for the body! This is a versatile meal that you can easily serve at breakfast, lunch, and dinner. Check it out! Place the water and the salt in a pot and bring it to a boil. Gradually whisk the cornmeal into the pot and reduce the heat level to low and let it sit on the stove for 20 minutes (If you want your polenta to have a thinner consistency, add a bit more water). Place a skillet pan on the stove burner at medium heat. First, cooke garlic and onions in the skillet until they are soft. Remove garlic and onions from pan to a bowl. Second, cook cheery tomatoes to skillet and let them burst as they cook. Add to tomatoes to the bowl. Third, Fry zucchini and mushrooms until soft. Place in the bowl. Fourth, add some coconut oil to the skillet and fry potatoes until they are browned on all sides. Add green bell pepper to the skillet with potatoes and sautée until desired. 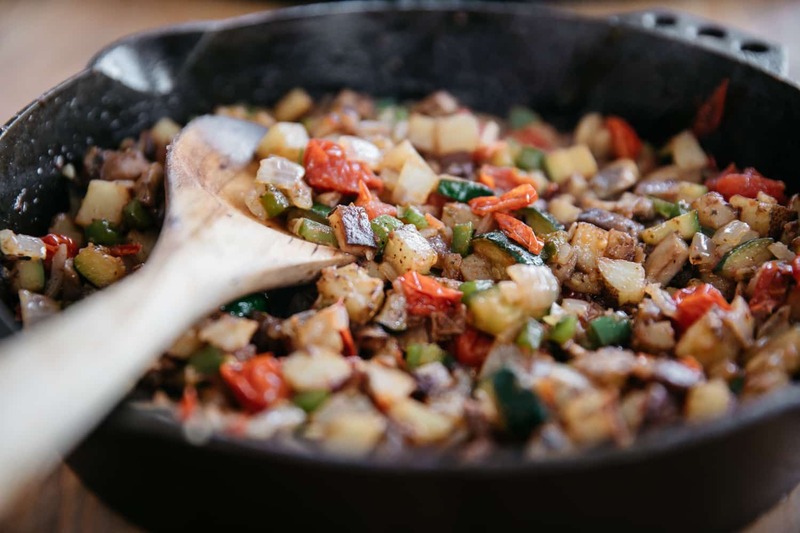 Place all vegetables into the skillet with pepper and potatoes and season with salt, pepper, and oregano. Place polenta on a plate and add cooked vegetables with it. Top the dish with chunky mild salsa. Recipe provided by Bradley Chambers.